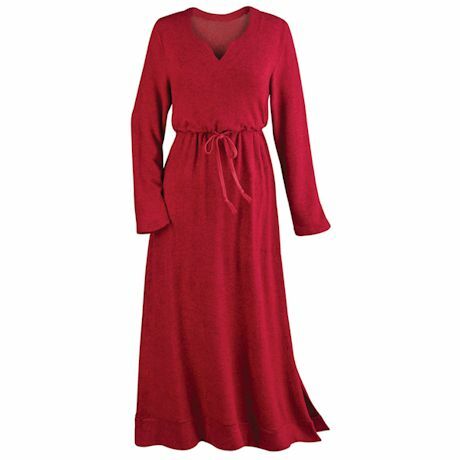 So soft and comfortable, you will plan events just so you can where this dress. Brushed, sweater-knit with just enough stretch to hold shape wear-after-wear. Modest scoop neck with notched interest, side pockets and drawstring waist for a flattering fit. 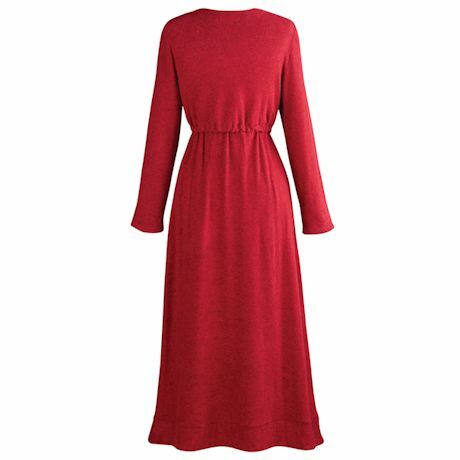 Machine washable brushed knit 80% rayon/15% polyester/5% spandex. Imported. S(6-8), M(10-12), L(14-16), XL(18), 1X(16W-18W), 2X(20W-22W), 3X(24-26W); 40"L.